El Bufalo Pawn address, phone, website, and more. 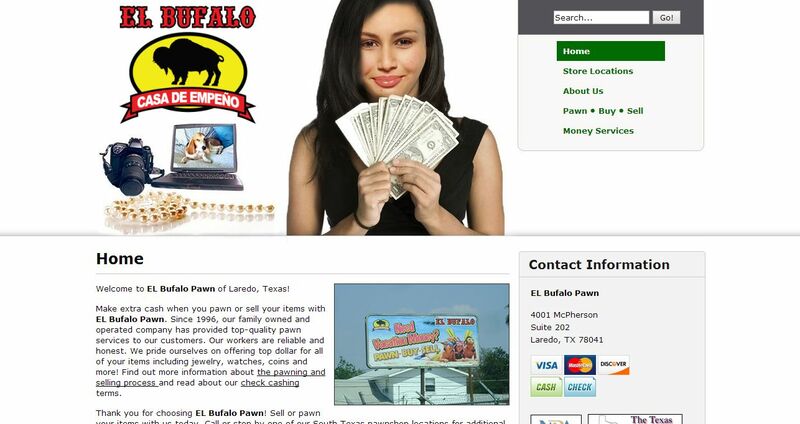 Make extra cash when you pawn or sell your items with EL Bufalo Pawn. Since 1996, our family owned and operated company has provided top-quality pawn services to our customers. Our workers are reliable and honest. We pride ourselves on offering top dollar for all of your items including jewelry, watches, coins and more! Find out more information about the pawning and selling process and read about our check cashing terms.